Encouraging girls to pursue engineering and science careers needs to start at a young age. Hope organizes events such as the Middle School Girls STEM Day and Girl Scout STEM Badge days as a community outreach to help inspire K-12 girls in the area. Led by Hope female engineering and science students, the girls participate in hands-on sessions, tour our engineering research labs, and hear from practicing women engineers and current engineering students. Susan Ipri Brown, director of ExploreHope, organizes these efforts. Funding from a 2018 grant supports these events and facilitates training of Hope female STEM majors to be effective outreach leaders. 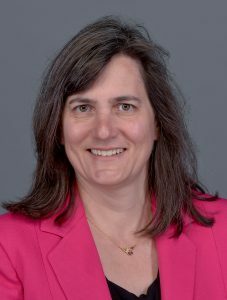 Dr. Cathy Mader, professor of physics, has worked with the American Physical Society on a variety of projects to increase access to and advancement in physics careers for women and underrepresented racial and ethnic minorities. 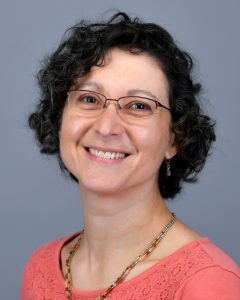 Her engagement with the STEP UP 4 Women project, to the Professional Skills Development Workshop program for professional women in physics as well as her campus efforts to improve access and equity to education has led to her new role as the backbone lead for the NSF INCLUDES Alliance: Inclusive Graduate Education Network (IGEN). This national network is a partnership of over 30 societies, institutions, organizations, corporations, and national laboratories that seeks to increase participation in careers in the physical sciences by underrepresented racial and ethnic minority students. IGEN is launching with ~$10M in grant support from the National Science Foundation to create of the network and programs needed for a sustainable program that closes the opportunity gap.